It is with much sadness that I share the news that Takuo "Tak" Miyagishima of Panavision died yesterday, Thursday Aug 4, 2011. Tak was known by this nick name to everyone. Most did not even know he had a longer name. Much less pronounce it. For more than half a century starting in 1954 Tak was one of the most esteemed design engineers in the motion picture industry. 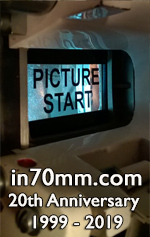 He made his first mechanical drawing for Panavision in 1954. He worked there for over 50 years and retired in 2009 as Senior Vice President of Engineering. But even in retirement Tak continued to work in Woodland Hills documenting the Panavision legacy and working with his colleagues. 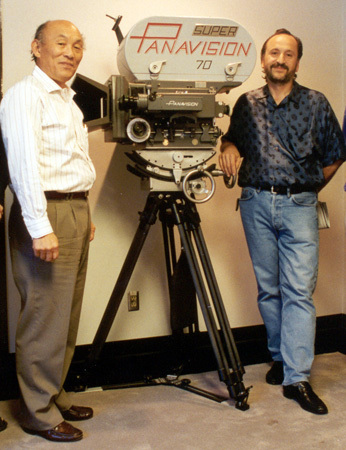 During Miyagishima’s tenure, Panavision and its employees received more than 20 scientific and technical awards from the Academy for the design and manufacture of motion picture equipment, especially advanced camera systems and lenses. In 1999, Miyagishima received the John A. Bonner Medal of Commendation for dedicated service to the Academy; in 2004, he joined a select group of sci-tech giants whose contributions to the industry have merited the Gordon E. Sawyer Award, an Oscar statuette. He will be missed by all his friends and industry colleagues.